PricewaterhouseCoopers, now known as PwC, apparently believes the airline industry needs a little extra advice. Whether that industry decides to listen to PwC’s recommendations, of course, is another matter. PwC just issued what it calls a “customer experience” roadmap for airlines that says those carriers that adopt a flyer-focused “values-based” approach -- coupled with a “quantitative DNA” that examines experiences with an economic filter -- can provide brand-defining travel experiences that can result in higher satisfaction, lower customer churn, expanded market share, and revenue growth drivers. PwC's Experience Radar 2012: Customer Insights for the U.S. Airline Industry includes input from more than 6,000 U.S. consumers across 11 industries. PwC says airline flyers, both leisure and business travelers, are well-connected to powerful social networks and digital purchasing agents, and are seeking what it calls information transparency with personalized experiences that can dynamically shift with their needs. “As cost management becomes less of a differentiator for airlines, carriers are seeking to create a competitive advantage by strengthening ties to consumers through an improved customer experience," said Jonathan Kletzel, U.S. transportation and logistics advisory leader at PwC. "Airlines that have a crystal-clear understanding of what flyers want, need and value most can be better positioned in the market, and can achieve a higher price premium." Aces: This category includes "nice-to-have" features for flyers that also deliver moderate to high economic returns (e.g. seat comfort falls within this category in PwC's study). Table Stakes: These are features deemed "must-have" from flyers while providing low economic returns for airlines (e.g. on-time arrivals fit here in PwC's study). Wild Cards: This segment includes features with high economic returns (e.g. issue resolution, upgrade options). Fold: These are features that produce little impact on company margins and rank low in value (e.g. additional fees and flight delays fall here in PwC's study). Don't nickel-and-dime: PwC found that 65 percent of leisure travelers value all-inclusive over a la carte options. Ancillary fees may bring in revenue but can also drive out customers. Airlines should simplify by offering all-inclusive fares and generate revenue with valuable add-ons, which can help enhance the travel experience. This should come as news to most U.S. airlines which have built a high revenue business based on ancillary revenues. Offer perks and rewards that make a difference: Business travelers seek convenience from status. Airlines should structure experiential benefits (e.g. rewards programs, credit cards, etc.) to tempt business travelers with the basics to make travel hassle-free, such as priority boarding, priority standby, upgrade priority, rebooking priority and extra leg room. 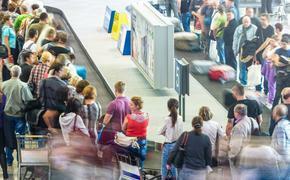 Eighteen percent of premium business travelers are willing to pay for priority boarding and seating. Create brand ambassadors: Two out of 10 never forget a bad leisure travel experience and continuously tell others about it. Get passengers talking about their good experiences by amplifying their positive travel encounters via brand advocates. In addition, monitor social media to engage and respond to customer issues before travelers vote with their wallets and leave. For more information or a copy of the report, click on PwC’s Experience Radar 2012: Customer Insights for the U.S. Airline Industry.